Let’s talk about the latest program addition to our Workout Library Shift Shop!! I want to be sure you get all of your questions answered so you can decide whether it’s a good fit for you! Our next Summer Challenge Group will start July 24th!! If you’d like to join simply email [email protected] with the subject line: Shift Shop. So what the heck is this all about?! 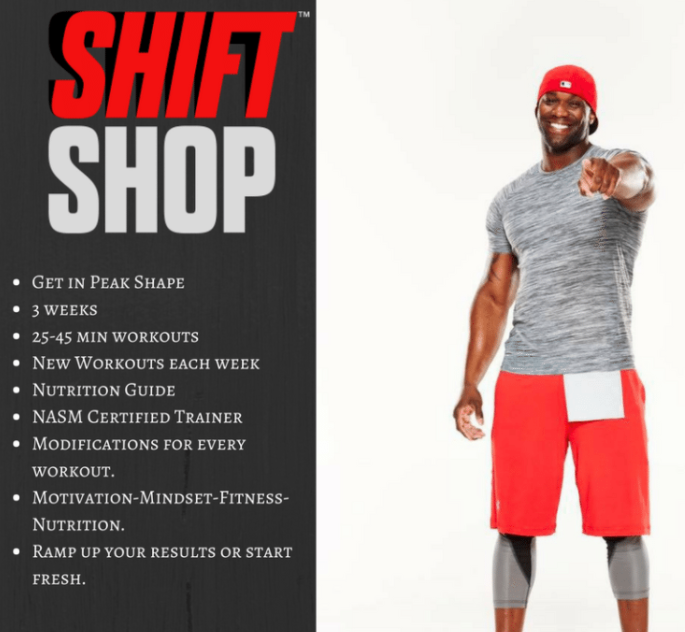 Shift shop is a 3 week rapid rebuild program for anyone who wants to ramp up their fitness fast. It goes from basic 25 minute workouts to advanced 45 minute routines, all while dialing in nutrition for optimal results. This is great for all fitness levels. If you have a lot of weight to lose, shift shop will be your on-ramp to fitness. If you have spent time away from your regular routine, Chris will lead you through a fitness tune-up. The workouts are 25-45 minutes a day, 6 days a week for 3 weeks and there is a modifier for every workout! The nutrition plan uses the Portion Fix to measure out your food. Based on your current weight, you’ll match to a certain number of portions each day. What’s different is your food list – it changes throughout the 3 weeks of the program. You might be allowed certain foods in week 1 that you’ll no longer be allowed to eat in week 3. By week three, the plan eliminates grains and increases a bit in healthy fats and unlimited veggies! Here are some transformations from the test group so far… how impressive are they?! My favorite option is the Beachbody On Demand All Access Challenge Pack: You’ll get 30 meals of Shakeology, a full year of access to Beachbody on Demand which includes EVERY single Beachbody workout available for streaming online, including Shift shop, the portion control containers, nutrition guide, plus all of my coaching and support. The only thing you’ll need extra is your agility markers!! 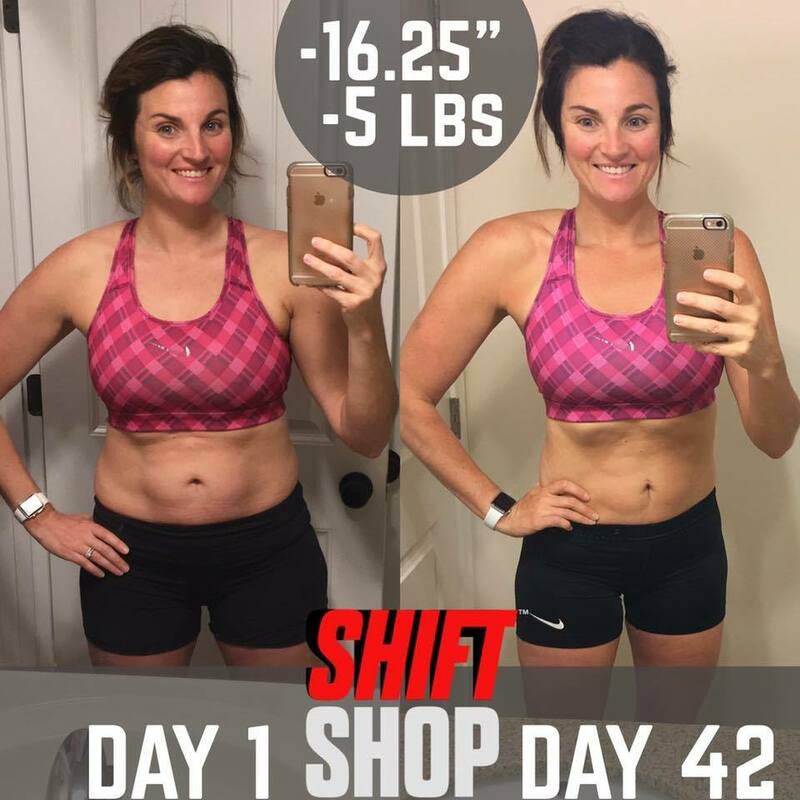 Option 2 is the Shift Shop Challenge Pack Bundle where you’ll get DVDs with all of the workouts to keep, your first 30 serving bag of Shakeology, a meal plan, nutrition guide, the shift shop agility markers, plus all of my coaching and support! Please message me ASAP if you’d like to join in on our group!!! Can’t wait to create your success story with you! 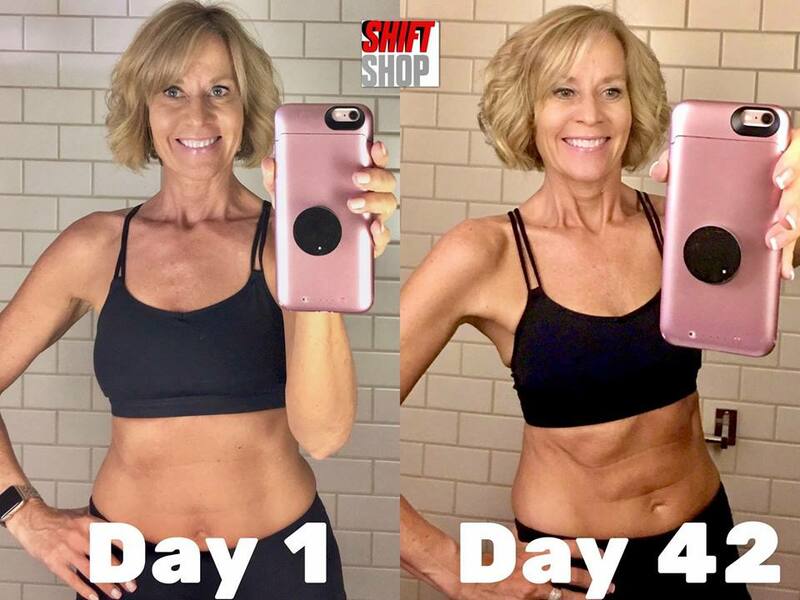 This entry was posted in Fitness and tagged at home workouts, beachbody workouts, online coaching, Shift Shop, what is shift shop on July 8, 2017 by danielle.